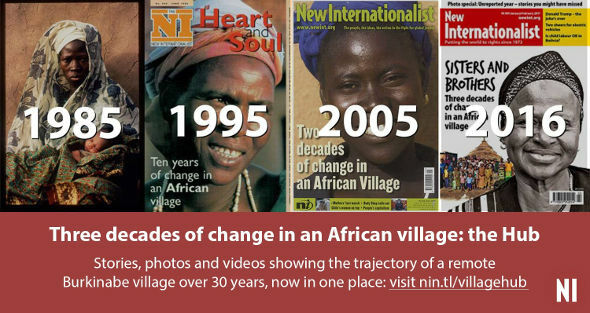 The villager has seen the world and has now come home to make a difference ... a traditional revolution. ‘Bonjour, Monsieur François,’ I reply. But everyone is shocked. No-one is allowed to speak to the Chief using his name. They have to say ‘Chief’. This is a bit embarrassing but I knew the Chief as François Moné 21 years ago. Later he tells me that the rules are that I should give him a chicken because of my mistake. But he said I didn’t need to. It is strange to see him in this traditional role as Chief. People bow to him when they come to see him by his house. When I heard, before my trip, that François was now the traditional Chief, I understood the choice. People in the village always respected him and what he has done. But it also seemed strange. François is very modern and educated and has lived in big cities: how could he be the guardian of the village’s ancient animist traditions? François was one of the very few children from the village who went to school. He had to walk four kilometres to Garango to the French colonial school. Burkina Faso became independent when he was at school and after he finished school, he joined the air force in 1974, at age 21. He trained to be a pilot, so he had to live in France for two years. He liked this at first, but after about a year, he wanted to go home. He travelled all over north and west Africa, and lived in Cheshire, England for a while, so he speaks some English. He knew Thomas Sankara well. On the day of the Revolution in 1983, Sankara sent him to Accra to get a lot of weapons that came from Libya. 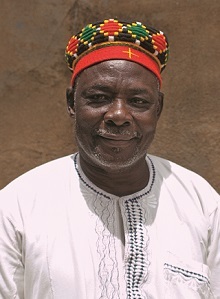 He has always lived with his own family in the capital, Ouagadougou, but he has always visited his home village a lot. Sankara and his revolution said the role of traditional Chief was not important. But I have always had to visit the Chief to pay my respects. But I didn’t know until this visit that the old, blind Chief was from a different group. He was a Mossi man; the authorities decided that he should be Chief, not someone from the local Bissa people. François says this happened because the Bissa chiefs before had been ‘naughty’. But because of this, no-one took the Mossi chief seriously and he didn’t participate in any of the traditional animist rituals. 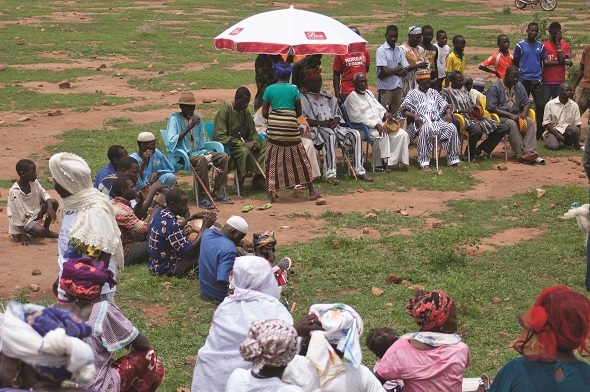 In 2012, the elders of the village decided that that they wanted a Bissa chief, someone from the village who spoke their language and understood their traditions. And did the Great Chief in Tenkodogo agree? And what did you think at first? Did you think it would be difficult to keep the traditions and live a modern, city life in Ouagadougou. Did you accept the role of Chief not to continue the old traditions but to develop the village and the life of its people. ‘Yes. We have started the Association de Resortissants de Sabtenga at Ouagadougou, and also in Italy, Côte d’Ivoire, Gabon, France, the US – all the places where there is someone from Sabtenga who wants to help the economic and cultural development of the village. This Association told me to accept the offer to become Chief, because they thought it could help their work. So I help the village and the Association communicate. But the Chief also has to participate in traditional ceremonies sometimes. The main animist rite of the year takes place while I am in the village. Many people dress up and go to the bottom of one of the stony hills near the village. They ask the local gods for good fortune, and sacrifice (ritual killing) hundreds of chickens and a few goats. Other people who don’t have enough money to kill an animal bring cooked food or tree branches. Animism was very powerful when I first came here, but now Islam, Christianity and modernization are more important. So it is strange to see this animist rite. Many teenagers from Muslim families want to go to see it, but their parents do not allow them. They watch from the hills. It is strange to see this Catholic, modern Chief. And this is not the kind of revolution that Thomas Sankara was thinking of. But this village has used people power to go against the authorities and make sure they have someone from their village as Chief. And, doing this, they are modernizing and showing social progress. This page was last edited on 13 January 2017, at 14:23.